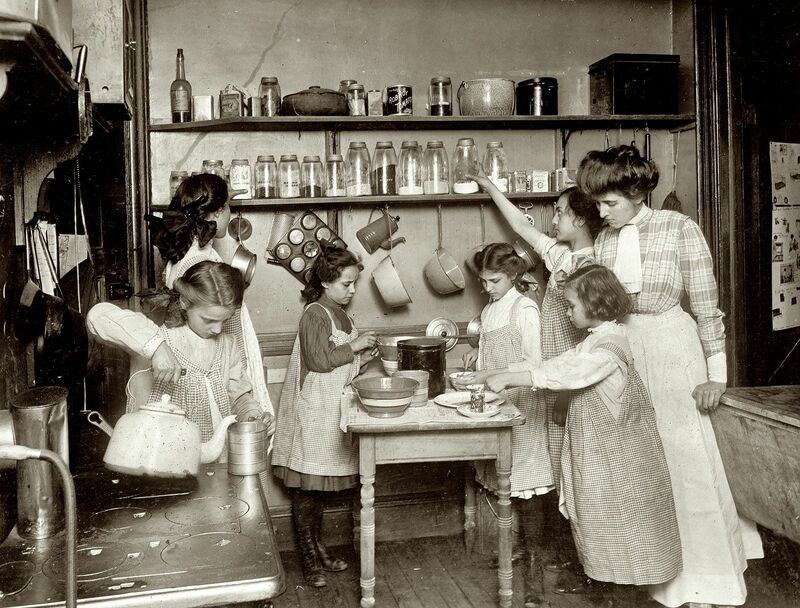 I'm always interested in finding pictures of authentic early 1900s kitchen interiors because it gives you a chance to see the kind of stuff visible in a working kitchen. I wanted to answer questions like, what did they use for dish drainers? What did they store food in? Canisters? Jars? Since most kitchens did not have an over abundance of cabinet space we have today, how did they store utensils and pots? I set out to answer some of these questions by digging through old books and photograph websites. I've collected quite a few images over the past couple of years and I thought I would share some here. 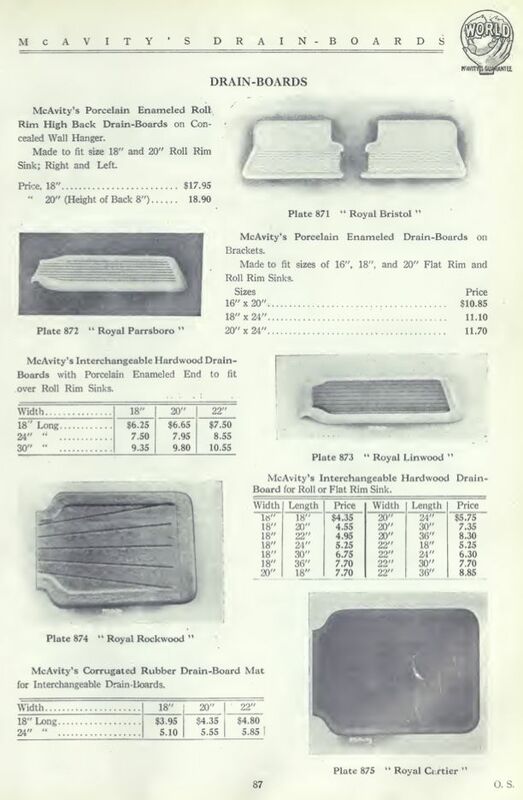 From The Craftsman Magazine, Sep 1906. I'm wondering what that interesting rack to the left of the sink is. A towel rack? Some sort of dish rack? 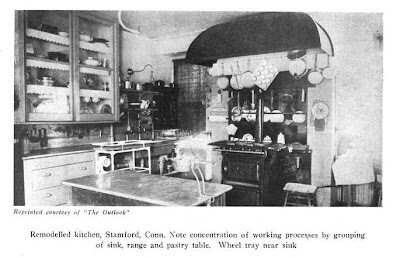 From The Craftsman Magazine, Sep 1906. I like the canisters in this picture. I think that cloth hanging on the back of the door might have been for hand drying. 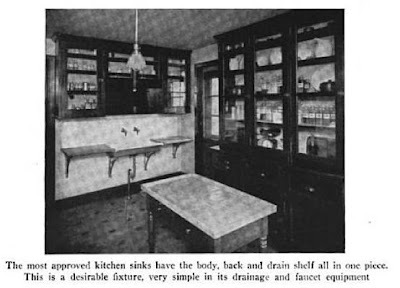 From The Craftsman Magazine, Sep 1906. Apparently vertical wall space was fair game for storing stuff. 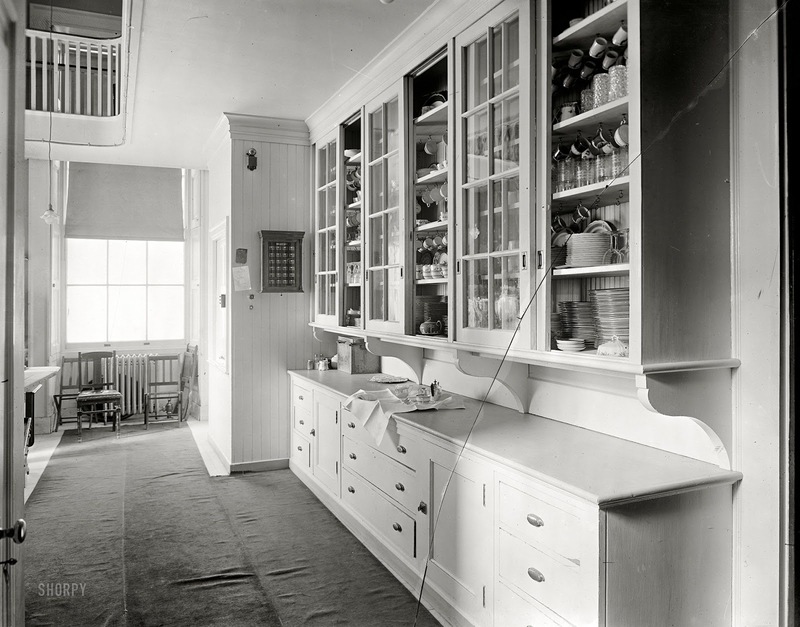 From Shorpy: Executive Pantry: 1909. I just love the brackets on this one. 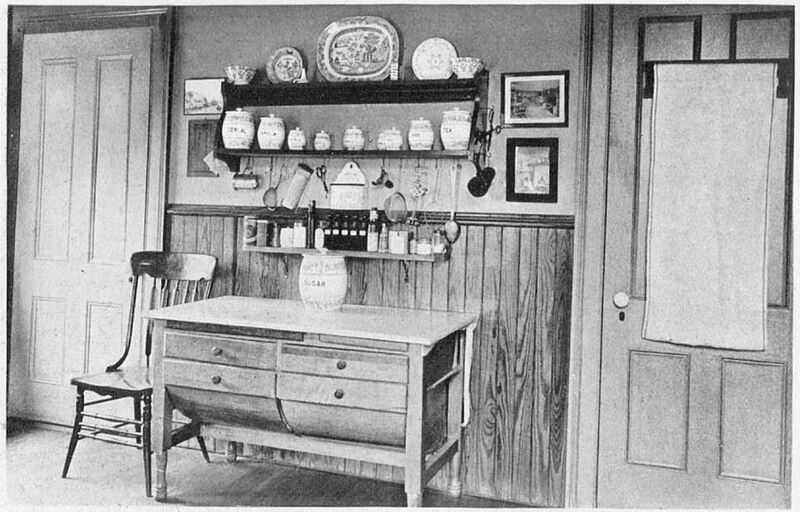 And look at that little cabinet on the far wall--I wonder if it was used to store spices. 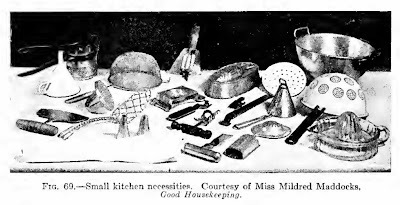 From A Second Course in Homemaking by M.H. Kittredge, 1915: A Canning Lesson. Lots of clear glass jars used for storing foods. Those definitely look like mason jars with screw-on lids. 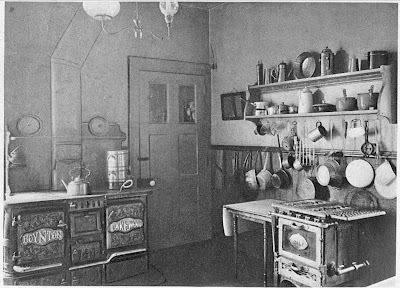 Pots are hung off the bottom-side of the shelf. 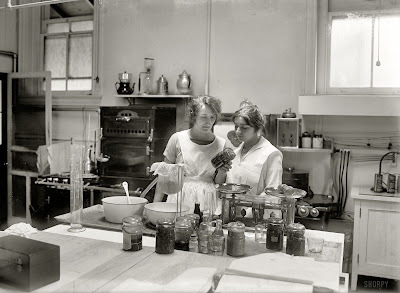 Also found on Shorpy: In the Kitchen, 1910. From The Efficient Kitchen by G.B. 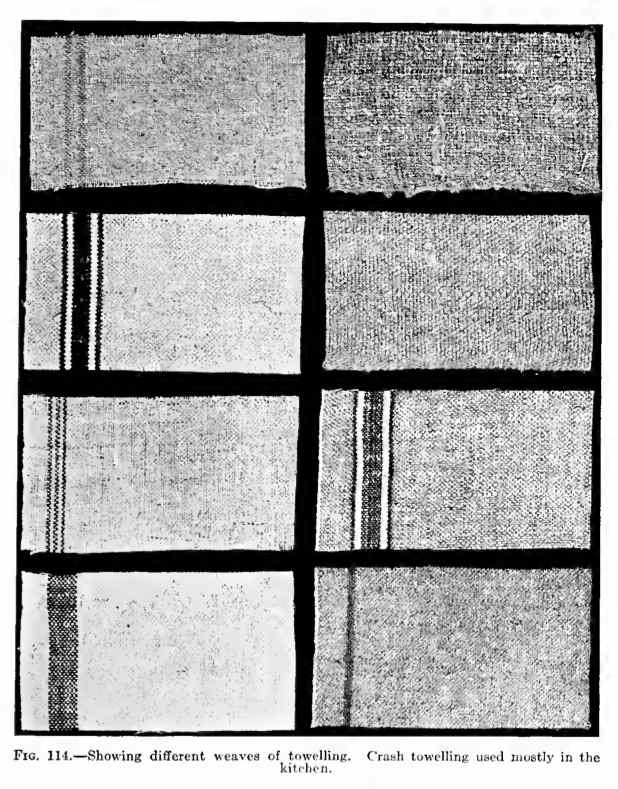 Child, 1914. Lots of clear glass jars used for storing food. Also the vertical wall space is covered in utensils. 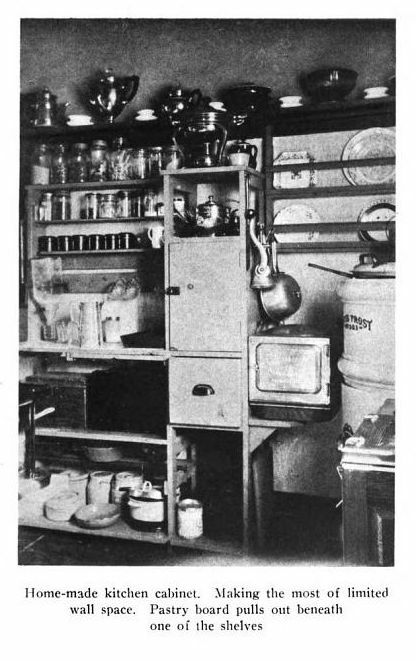 From The Efficient Kitchen by G.B. Child, 1914. Those shelves actually look like they contain mason jars. 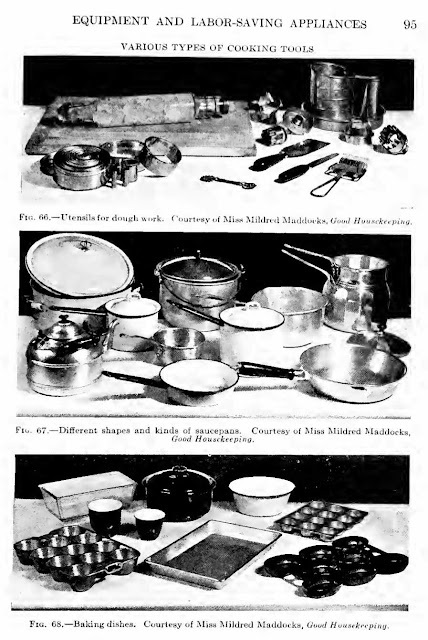 From The Efficient Kitchen by G.B. Child, 1914. This picture is really interesting because it shows a wire mesh dish rack (hanging on the wall). 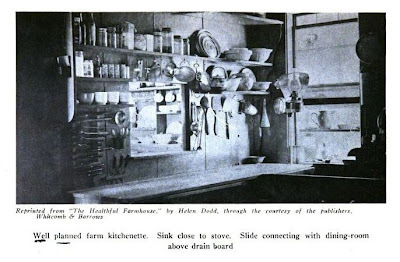 I'd been wondering what they used as dish racks and this photograph provided at least one option. 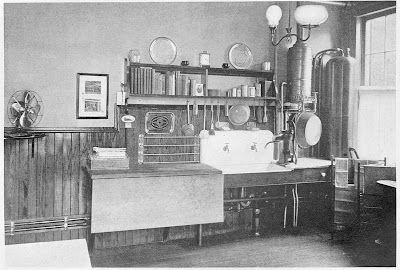 I think that mop-looking thing above the sink might be a dish scrubber. From Inside the House of Good Taste by Richardson Wright (ed. 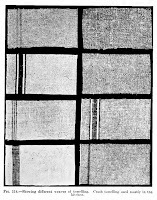 ), 1915. This kitchen cabinet shows a variety of food storage jars, all nicely labeled. 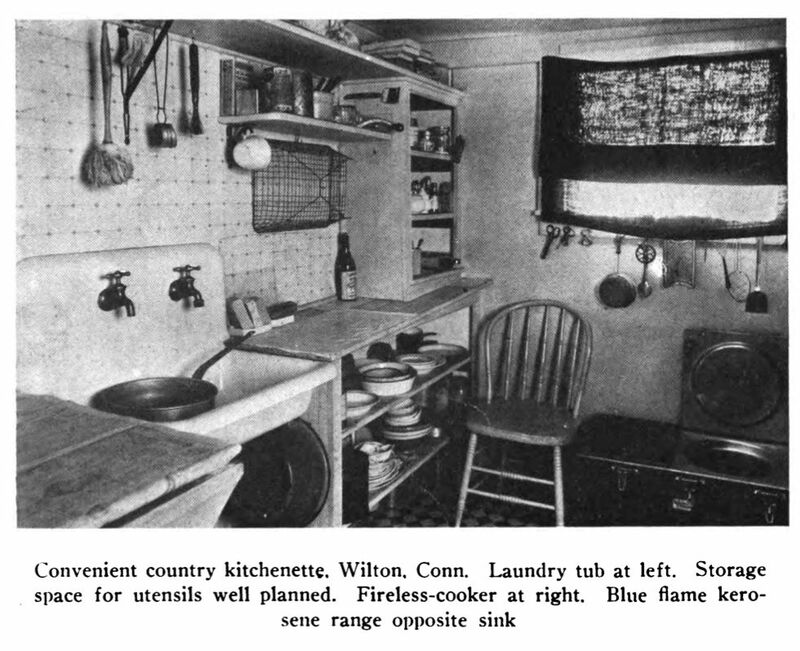 From Bungalow Basics: Kitchens by Paul Duchschere. 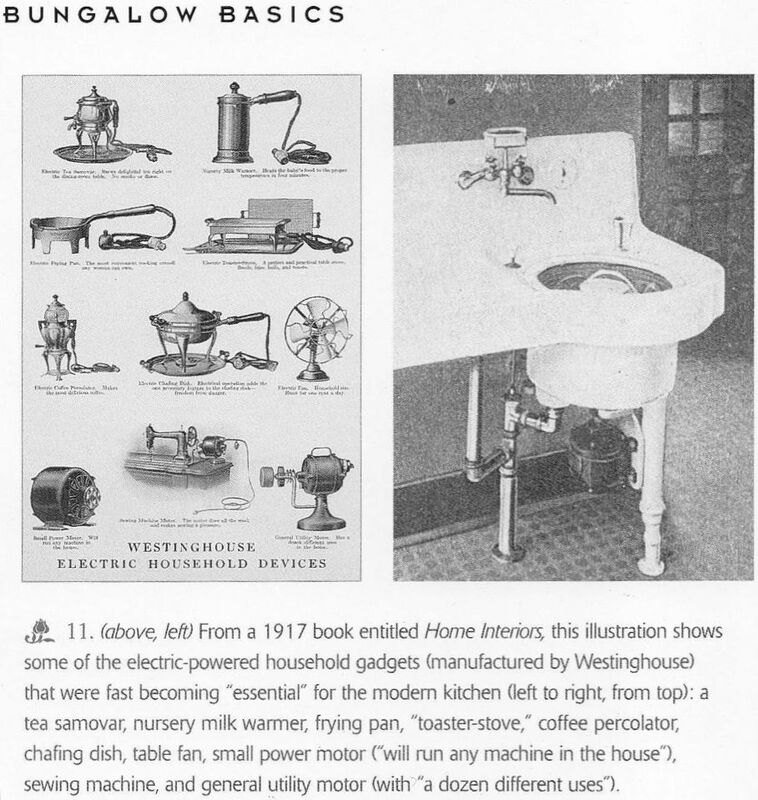 Look at all those neat appliances from 1917. From Housewifery by L.R. Balderston, 1919. Various types of cooking tools. From Housewifery by L.R. Balderston, 1919. Small kitchen necessities. 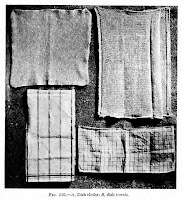 Both of these dish towel pictures are from Housewifery by L.R. Balderston, 1919. 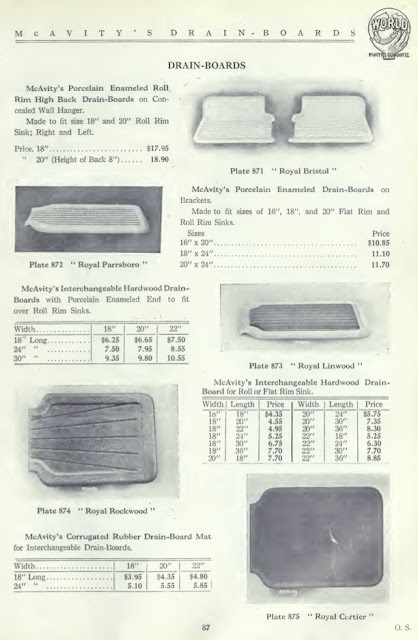 From Shorpy: Restoration Hardware, 1920. Look, another dish rack stashed under the sink and paper towels hung on the wall. That garbage can is really interesting too. Those canisters on the back cabinet are fantastic. I'd love to find some of those. From Shorpy: The Recipe, 1923. Still using bale closure jars. Pretty soon I'll share some links I found when searching for some of these items. Hi Sharon. That towel on the back of the door is likely on a roller. My farm washhouse (where the laundry & butchering was done) still has two of these mounted on each side of the door nearest the sink. That way you could dry your hands whether the door was open or closed. 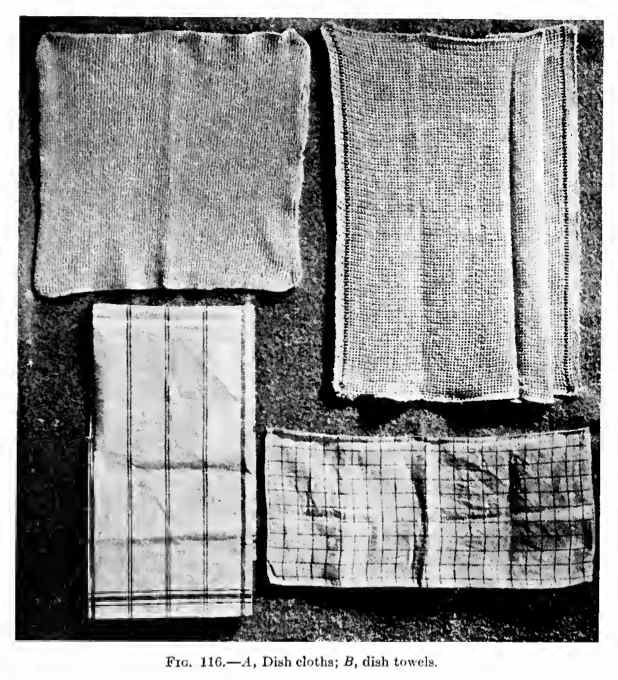 The towels are either flour sack or terry cloth, simply sewed together end to end and slipped on the rollers. Such a simple clever idea. Nina, that sounds fantastic! I'm hoping you'll be blogging about the project and sharing with us all. Pick up "Bungalow Kitchens" by Jane Powell. The photographs are fantastic, the writing is funny, every detail you'd ever want to think about is talked about with obsessive restoration and compromise solutions given, the history is accurate and very useful for taking your house back to a specific year, advice on dealing with trades people (plus getting the right ones), and she catalogs a lot of great resources that will help you. She also wrote "Bungalow Bathrooms" and "Bungalow Interiors" and they're just as good. If you're seriously planning a period remodel, you're not going to find a better reference book. Having a published book like that also helps you win arguments with the designer. I had many of the same thoughts as you do, Nina. 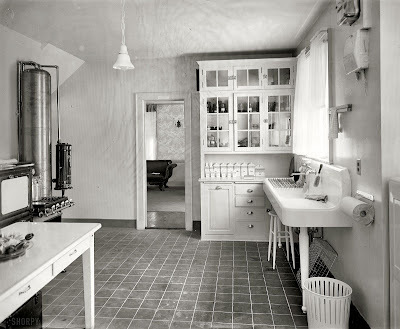 But the kitchen of my 1920 bungalow is so small there's not a lot that could be done to make it better. 8'x11' with three doors that can't move or be eliminated. Then my neighbors put their 1930's O'Keeffe and Merritt on Craig's List for a reasonable price is outstanding condition. That was about the point at which I lost my mind and decided it didn't matter what it took to put a period kitchen back, it was going to happen. Those pictures show work rooms. That's what kitchens are. Nothing hidden. Thank you! This is great fun .. 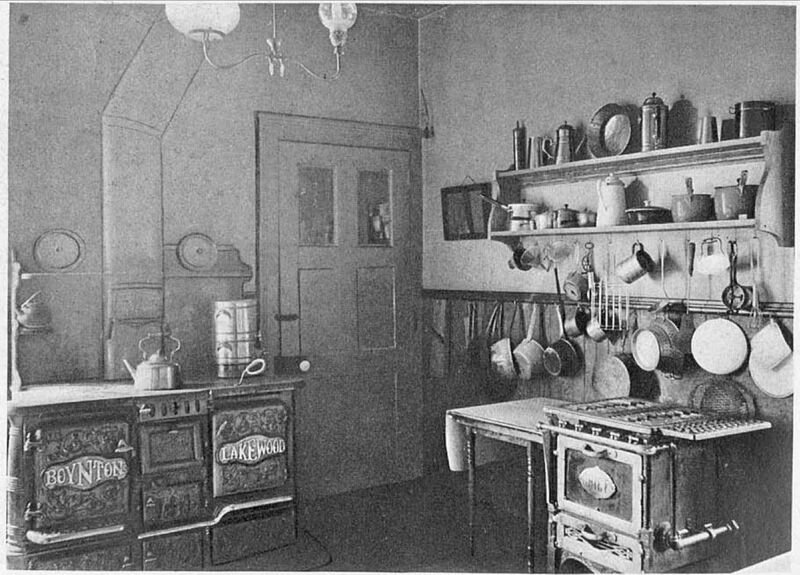 I have an old house in Vanersborg, Sweden (built in 1920) I really need old kitchen photographs as source of inspiration. I will not restore to the original, but close to. Right now I'm planning for wood burning stove in the kitchen (ground floor). Would also very much like to have the old model (one spare) water heaters .. if electrical power disappears. My room heating system is installed in the late sixties - a big disadvantage - as new (er) systems are narrow water pipe and requires an electric pump to run hot water around the radiators. The old-fashioned Victorian thick pipe systems loomed around hot water because of physical laws. 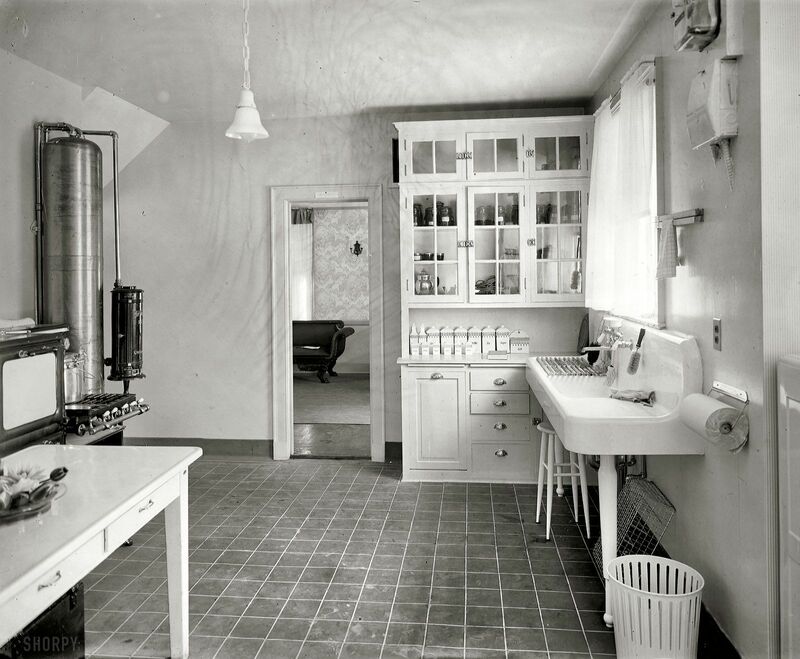 (Warm liquid rises) But in 1920 they built still house with wood-burning stoves in ("obsolete") parts of Sweden. Unfortunately, they tore away the old tiled masonry stoves when they got boiler - a furnace in the Art Nouveau style, I have managed to build, for maybe ten years ago. The executive pantry ... "And look at that little cabinet on the far wall--I wonder if it was used to store spices"
No, if you look beyond that "little cabinet", you will see a dumbwaiter door. That is the floor selector to send things to the right floor in a hotel. 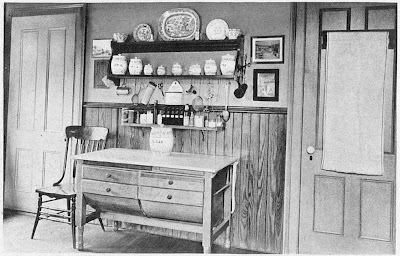 This was probably the "night kitchen" where guests could order a limited number of things like hot milk, tea, and toast. I take that back ... that's the executive pantry in the White House. The box would show where a call for service came from. I own a 100yr home and the only room left to do is the kitchen. I love the sliding glass doors on the upper cabinets. most of the pics don't even have cabinets, so I'm having a hard time deciding what style to go with on the cabinets which aren't many in my kitchen. there are 3 doors and 2 - 6 ft windows so that doesn't leave much room for cabinets. I also hang most of my pots on the walls. love the pics and hope to see more. The London painter Harry Bush (1883-1957) did a lovely painting in 1954 of his own kitchen - untouched since 1914 probably. Google 'The Tiled Kitchen Harry Bush' to find it. Can anyone please date the cooker for me? I'm afraid I don't recognize it. Sorry. There are quite a few period catalogs available at archive.org.